Stars have been a favorite theme of quilters for centuries, so we chose some of the most popular star designs to create these six quilts of varying sizes. Each quilt is strewn with dazzling stars that are pieced or appliqued. You can create a Circle of Stars quilt to warm up a wall, or spread a playful Checkerboard Star on a bed. Vintage Snowball uses two of the simplest blocks known to quilters, yet it twinkles with starry fun. 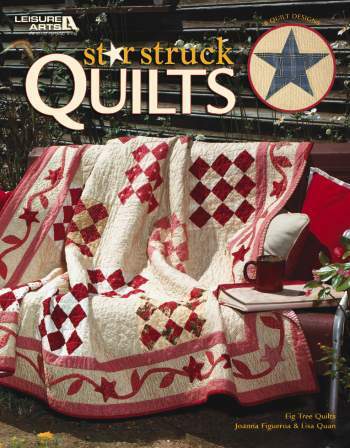 Follow this book's step-by-step instructions to create your own heavenly masterpiece of patchwork warmth!